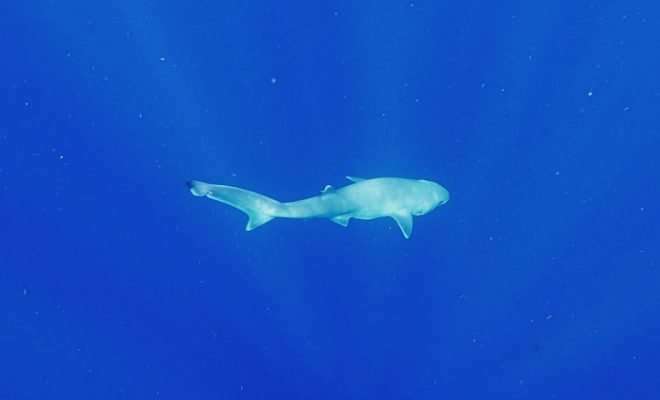 A team of scientists led by Florida Institute of Technology's Toby Daly-Engel has confirmed after decades of uncertainty that sixgill sharks residing in the Atlantic Ocean are a different species than their counterparts in the Indian and Pacific oceans. Their findings were reported this week in the online edition of the journal Marine Biodiversity. Measuring up to 6 feet in length, Atlantic sixgill sharks are far smaller than their Indo-Pacific relatives, which can grow to 15 feet or longer. They have unique, saw-like lower teeth and six gill slits, as their name suggests. Most sharks have five gill slits.